1. A 2009 Dandelion calendar with a hanger. 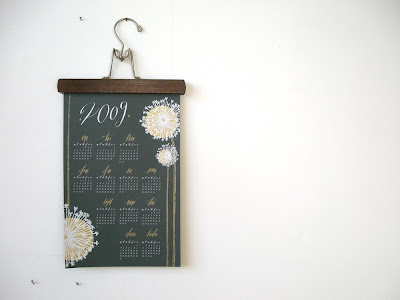 Not only is the calendar beautiful, but this Etsy listing includes a vintage hanger. I'm thinking our guest bedroom. 2. Kindred 6 x 9 print. I can't tell you how much I love that photograph. That calendar w/ a hanger is Genius!!! I must get one! 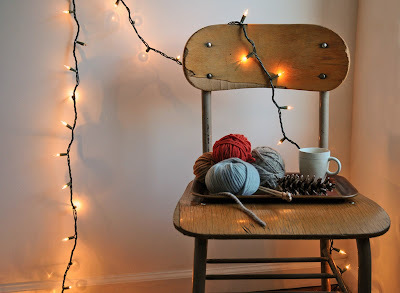 The chair/lights/yarn print is very relaxing. I'm not sure what it is about it but I like it alot. i've been eyeing that calendar for a bit. i think it's one of my favorites out there at the moment. i love christmas lights but why is that every time i've tried incorporating them into my house, my house suddenly looks like a dorm room? so sad. Kate, that is funny. And it might be part of the charm of "twinkle lights."